This image includes one spore and the termination of two of the sporangiophores. 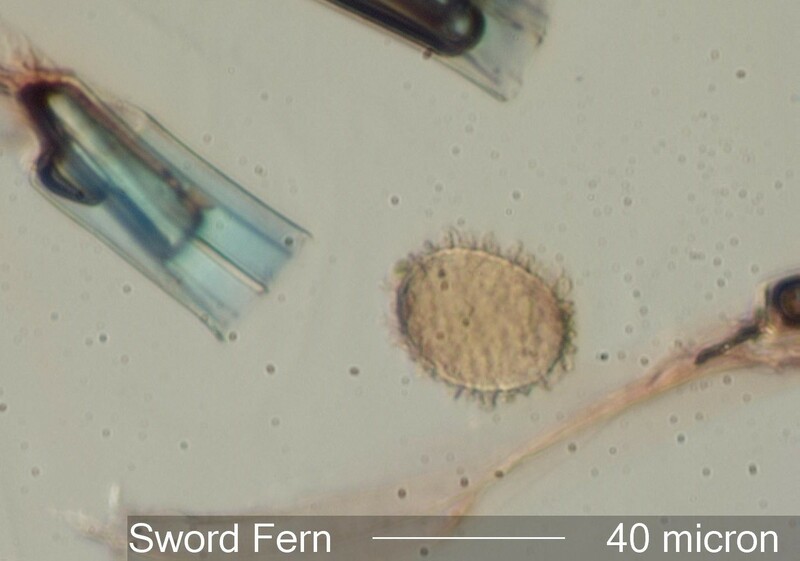 The sporangiophore connects to the sporangium and the fern leaflet. Sword Fern, Polystichum munitum, is found in the Northwest forests of North America and inland along some river valleys.